Is the ballot box safe from manipulation? In the wake of Russian interference in the 2016 presidential election, experts warn that many states continue to rely on outdated voting machines and online networks that are highly vulnerable to hacking. Those warnings coincide with fresh evidence that Russia is working to sow discord and confusion among U.S. voters ahead of the high-stakes November midterms. Congress approved $380 million this year to help states upgrade and protect their election systems, but state officials say far more is needed. Many experts say wider use of paper ballots would help prevent election mistakes and tampering, but others say paper records are still susceptible to human error. Some Republican-controlled states, meanwhile, have adopted photo ID requirements and other rules that they say protect election integrity by reducing voter fraud. 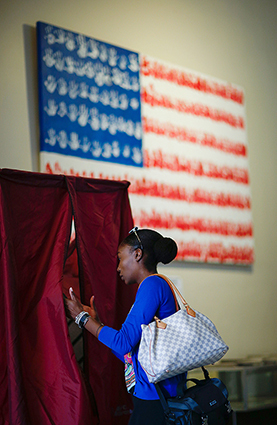 But voting-rights advocates argue that such fraud is extremely rare and that the rules are designed to suppress voting among minorities and other groups that typically support Democrats.